I am proud and honor to present a Hmong textile documentary that explores story clothes called Stories in Thread. Learn more about Hmong history, culture and identity though Hmong textiles. 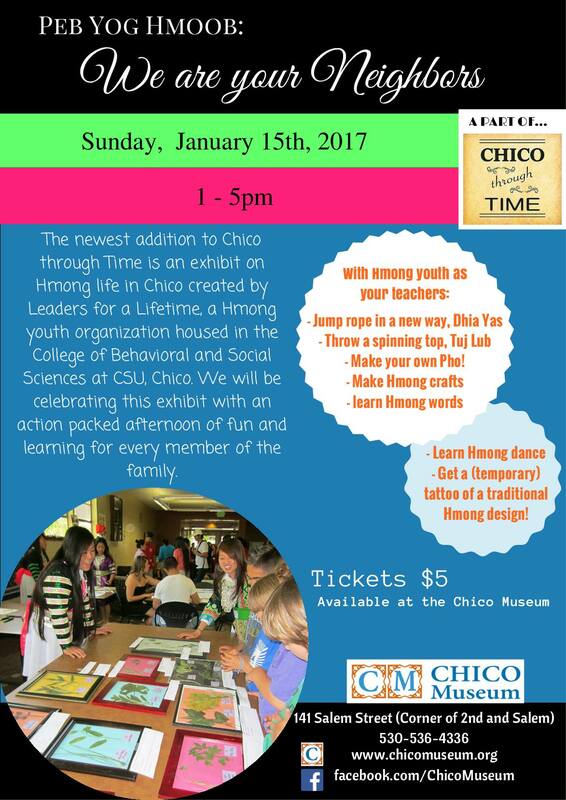 Hmong Museum Exhibitions in Chico right now! Open: Thursday through Sunday, 11:00 a.m to 4:00 p.m.
Closed: Monday, Tuesday, and Wednesday. All coordinated by Leader for Lifetime (L4L) Organization in Chico. Click here to get more information about L4L. Check out another Museum only a few minute away! Closed between exhibitions. See exhibition schedule for specific dates. Note: The Museum of Anthropology is completely wheelchair accessible. The museum is located in the Meriam Library complex.